A new solids control system produced by GN solids control can save your drilling cost extremely, especially under the situation that Brent crude oil prices fell below $49 a barrel and U.S. crude also fell more than $1 on Monday after the global economic outlook darkened and Iraq announced record oil production. You have to reduce your production cost in everywhere to fight with the low crude oil price, otherwise you can not earn money and keep your business going well. 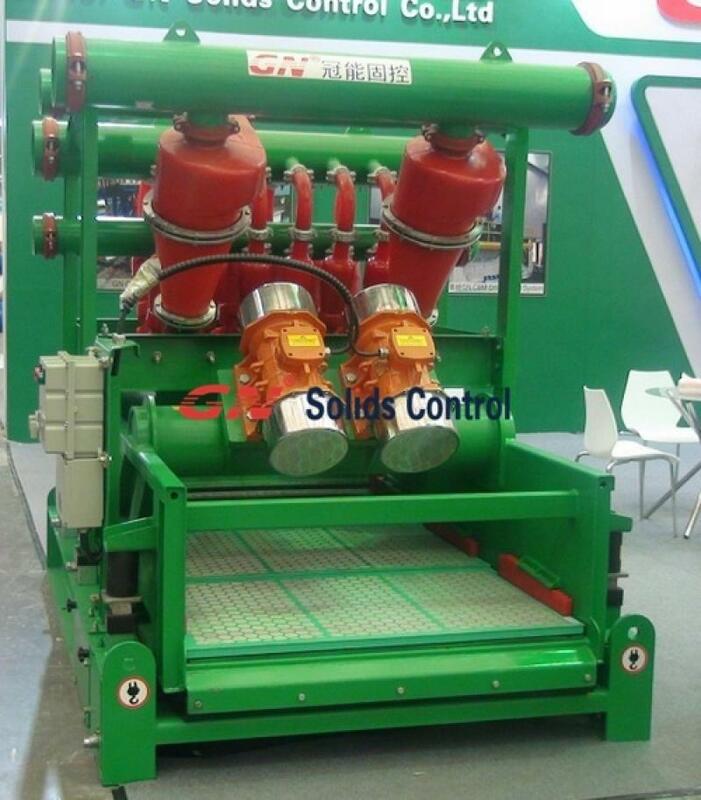 GN solids control system can be completely customized design according to your rig model and rig site layout. We have experienced engineer team who can give you professional solutions for all kinds of drilling/ boring engineering, including oil & gas drilling, geothermal drilling, water well drilling ,coal bed methane, horizontal directional drilling, diamond core drilling. Recently GN solids control shipped 3 sets of 1000 HP drilling rig solids control system for a drilling company in Europe, not only in Europe, our solids control system has been sold to over 60 countries in the world, and we can meet the high standard requirement for Australia, New Zealand, Europe, South America and also for offshore project. These 3 sets of solids control systems are exported to Europe, all motors and electric control panels are ATEX certified and all machines are CE certified. 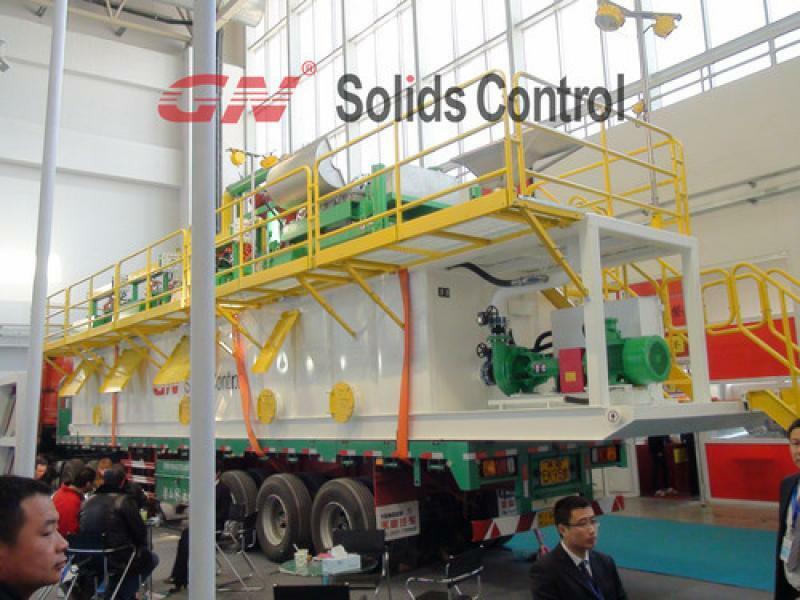 GN Solids Control is one of the few companies in China who can meet such requirement. And in other developed area like North America, we provide solids control system with IEC ex certificate. 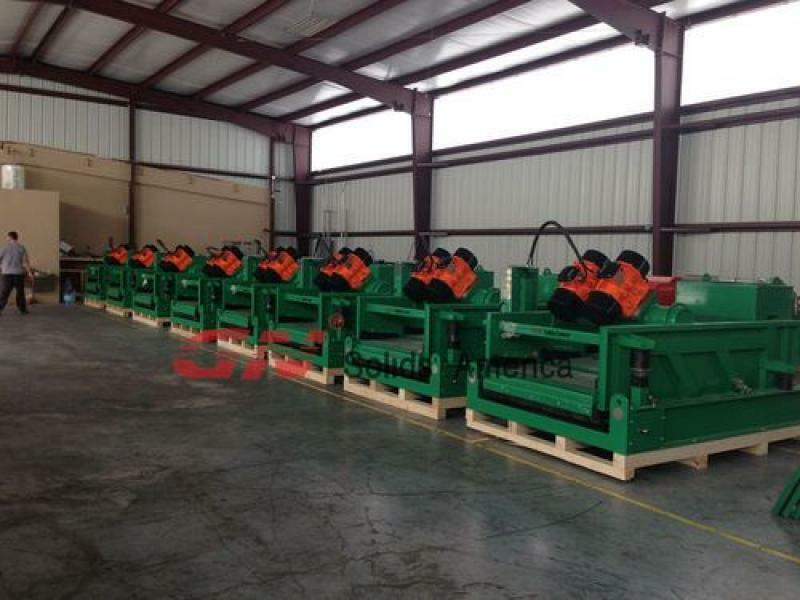 This week GN Solids America( based in 6710 windfern road, Houston, TX77040) shipped 10 shale shakers, 3 units of mud cleaners to our oil drilling solids control client. This is his repeat orders. Right now we have 4 shale shakers and 1 mud cleaner in stock for sale, welcome to call GN solids America sales for the price offer. GN solids control has shaker screens in stock in our Houston warehouse, the API mesh size from API60 to API230. Also for the normal spare parts, like wedges, springs, vibration damps, bearings, oil seal, electric motors, gear box and other parts are all in stock for immediate shipment. Except for shale shaker and mud cleaners, we also have mud mixer, hopper, centrifugal pump, mud gun, shear pump in stock, welcome to visit us. Also we provide customized design mud tank system for your particular project, like waste oil recovery, barite recovery, drilling fluids recycling, bored piles, tunneling, etc. HDD technology is widely used in nowadays construction of infrastructure. As a leading manufacturer for HDD drilling waste management, GN Solids America would like to share some information on the application of HDD. The main applications for HDD pipeline projects are under-river crossings, traffic ways crossings, flood protection dams, crossing below foundations of buildings or infrastructure objects, shortenings through topographic obstacles like rock ridges, orthogonal situated hills and rims, non-crossable terrains and for example under-crossings of nature reserves, parks or even hole city areas of mountain zones. The drilling mud desander for HDD has been divided into 3 fields as below and most of the pipeline is relation to oil and gas pipeline laying, sewer and water transportation. Under water crossings like rivers, canals and lakes which would otherwise require a special construction effort. Under water crossings are particularly advantageous because no special ground water retention is required that necessitates other structural preparation measures. Nowadays, normally all underwater crossings would use the HDD machines. The depths and the length of existing water obstacles, the diameter and weight of the pipe section decide the choice of the HDD machines power class. Pipeline has been embedded safely and with stability when undercrossing traffic ways like railway, highways, roads and streets. It is possible to drilling small to large diameter boreholes and keeps these boreholes and the surrounding underground stable during boring. Decanter Centrifuge requires neither manhole have to be built nor groundwater control during the installation. When install the new pipe and renew the pipe in hillsides, the using of the trenchless technologies provides beneficial advantages. Such as the cost on walking excavators, safety measures can tremendous reduced. By using the trenchless technologies, the cost is about same as for the bores in flat terrain. Trenchless construction methods offer additional advantages that can have moderating and stabilizing effects on the slopes. The most striking advantages of the application of HDD is the preservation of the traffic ways or ground surface as dynamic supporting structure. The soil natural structure above the pipe installed is completely preserved. For more information on the application of HDD technologies, welcome contact with GN Solids America who is a leading manufacturer for HDD drilling fluids solids control equipment. GN Mud Cleaning System with as much as 500 GPM flow capacity has just completed the commissioning and now functioning in NSW Australia for mud cleaning of HDD rig application. As per the clients’ request, we built the mud cleaning tank with Hydraulic Jack up approach. This mud cleaning unit consists of a linear motion shale shaker along with a three-in-one mud cleaner (decanter centrifuge, desilter and bottom shaker). It’s a three-phase drilling mud cleaning technique with IEC Ex certifications. Using the hydraulic jack up technique, it genuinely is uncomplicated to be lifted for speedy transport to many drilling fields. You can visit here to find more information about GN Solids America.